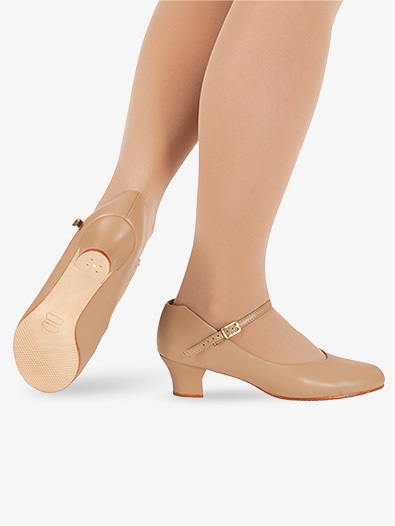 Capezio's "Jr. Footlight" character or tap shoe has a PU upper that is lined with an absorbent, brushed microfiber. The upper is comfortable, lightweight and durable. The insole has more padding and matching socklining. 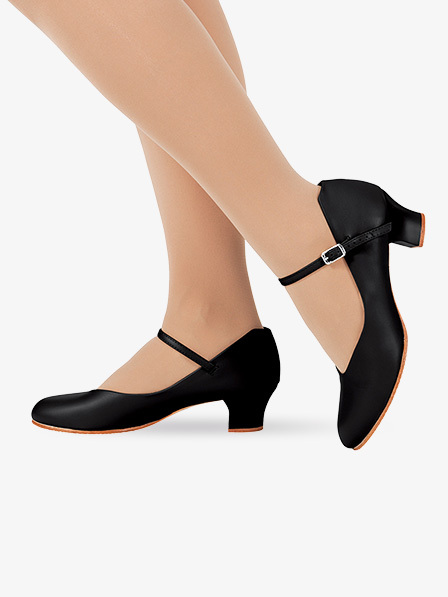 Other features include a leather sole and top lift, smooth folded edge top line, an Achilles notch, a non-slip heel counter and a slightly thinner ankle strap for ease of use. 1 1/2" heel. Tap plates are not included. Compatible with TeleTone and Super Taps taps. Hello, I am interested in these shoes because they are 100% vegan - however I don't know what size to order because I wear a 6.5 in womens. Any help would be appreciated. 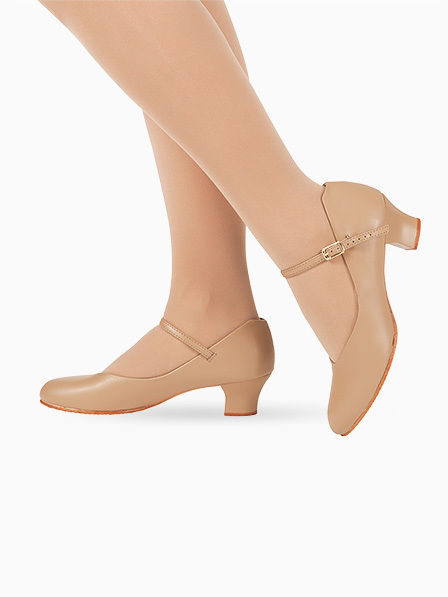 This shoe suggests that you size up one full size. 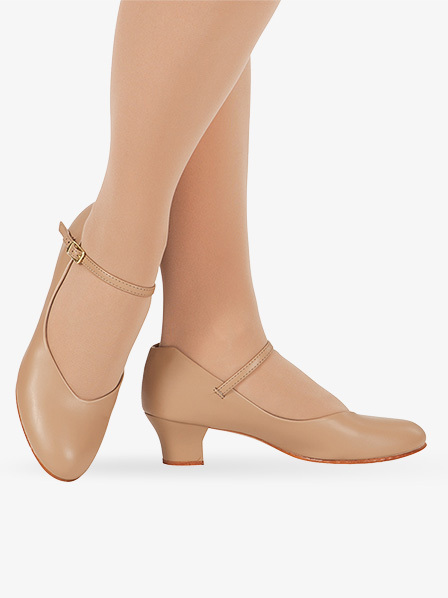 However, this product is constructed with a leather sole and top, therefore they are not considered vegan. Please contact out customer service department for further vegan products as they are seldom on our site.